Ultimately, you can only hear what you hear. That is why the things you hear may still seem right to you, even though you may already experience a slight hearing loss. The truth is that your brain simply adjusts to the new situation and compensates for the weakened signals coming from the ears. After a while your brain literally forgets how to hear, because it does not remember the sound of words. 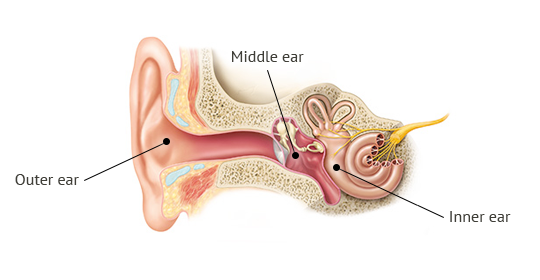 Typical problems with the outer ear include ear wax plugs and infections of the auditory canal. Usually, addressing these problems is very easy. But it is important to act quickly in order to avoid hearing damage. Inflammation, fluid behind the eardrum, perforations of the eardrum and otosclerosis (a stiffening of the bones in the middle ear) are the most common problems to interfere with middle ear function. Most outer and middle ear problems can be addressed effectively with medication or surgery. If this is not possible, permanent hearing loss can be compensated with a hearing aid in most cases. The majority of hearing issues concern the inner ear (C). The most common cause is the natural aging process. But loud noise, taking some types of medication, or skull fractures can also have a negative influence on a person's hearing ability. These influences damage the fine hair cells and affect the transmission of signals to the auditory nerves. Usually, inner ear hearing loss cannot be addressed medically. However, this type of hearing loss can be corrected with a hearing aid in most cases. Hearing loss caused by an outer or middle ear defect is called conductive hearing loss. Damage to the inner ear, is called sensorineural hearing loss. If both types occur together, the condition is called mixed hearing loss. 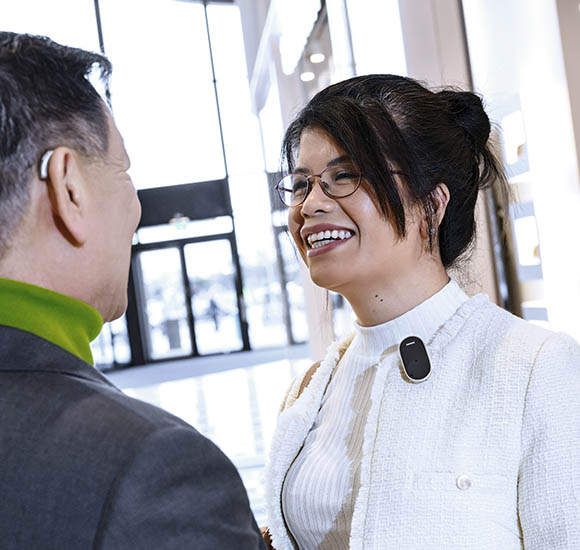 Your hearing care professional will help you make the choice that is perfect for you. They will consider your hearing needs, your budget, your lifestyle and your individual hearing preferences.